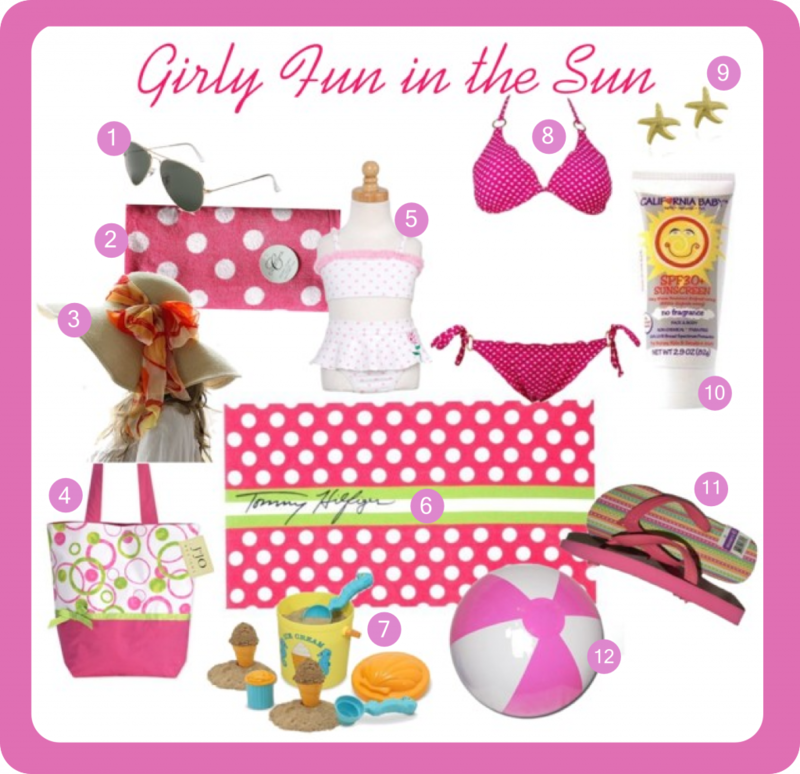 Girly Beachwear: Pink Bikinis and Polka Dots - Oh So Girly! As summer fast approaches, the shops start filling up with a wide range of beach and swim wear. Finding swimwear that *just* matches your taste can take a little searching. In preparation for spending time at the beach this summer I am on the look out for cute swimwear like polka dot or pink bikinis (or preferably both of these once! ), pretty pink beach towels and fun toys to play with in the sand with the younger members of my family, with friends’ children… and if I’m honest, making sandcastles, sand ice creams and playing beach games is still fun for me too! To get into a summery mood and to start making my wish-list for this summer’s beach holiday I compiled this selection of girly beach wear.